You would think I would be over pies. 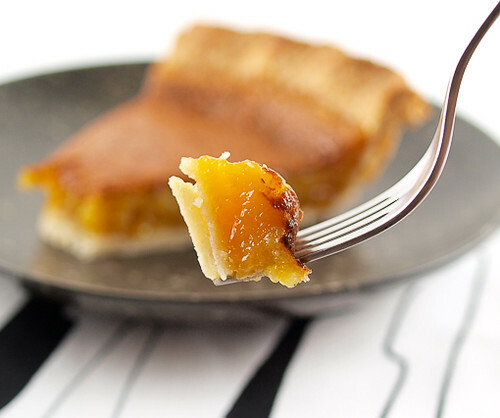 It is true that after writing Everything Pie (due out in September and available for pre-order at the link to your right) I would never want to bake another pie again. For a while that was true, but after a few pie-free months I noticed that I did not feel the same instant aversion to pie as I had. In fact, last week I actually had a craving for pie. Specifically one made with white chocolate in a rich, fudge-like filling. I am sort of kicking myself that I did not think of this three months ago when I was still writing my book! Do not use low-quality white chocolate in this pie. White chocolate has a delicate flavor that can be sublime when done well, but can go terribly wrong when made very cheaply. White chocolate is certainly the star of this production, but in a very important supporting role we have the crust. I opted for an all butter crust because butter and white chocolate are a stellar flavor team. 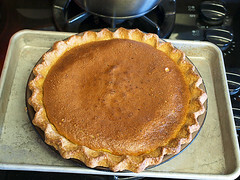 Also, the buttery crust is less heavy than a shortening crust, complimenting the richness of the filling. 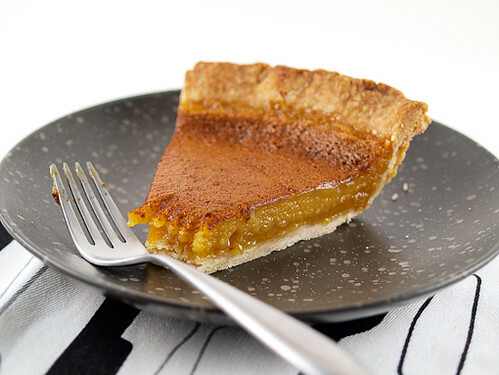 This pie is lovely when it is still slightly warm, but it keeps very well in the refrigerator. 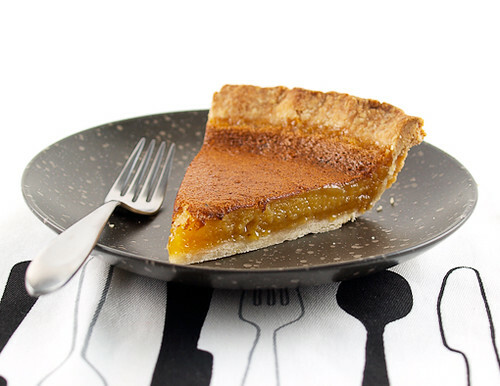 Just allow the pie to come to room temperature before serving. 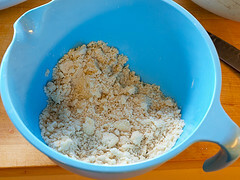 In a large bowl sift together the flour, sugar, and salt. Add the butter and, using your fingers, rub it into the flour until the mixture looks like coarse sand studded with pea sized pieces of butter. 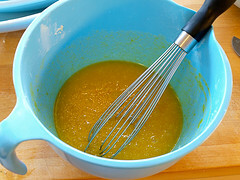 Add 2 tablespoons of water and mix until the dough forms a rough ball. Add more water, one tablespoon at a time, if needed. 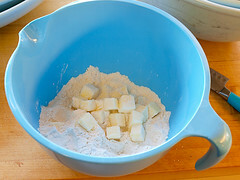 Turn the dough out onto a lightly floured surface and form a disk. Wrap in plastic and chill for at least thirty minutes. 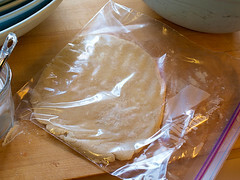 Remove the dough from the refrigerator for ten minutes before rolling out. Roll out on a lightly floured surface to 1/8-inch thick, about a 12-inch circle, turning the dough often to make sure it does not stick. Dust the surface with additional flour if needed. 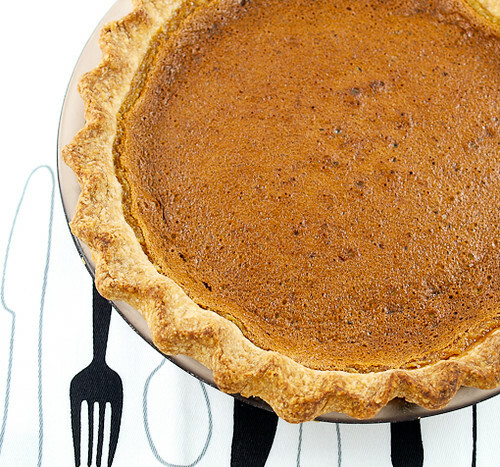 Fold the dough in half and place it into a 9-inch pie plate. Unfold and carefully press the dough into the pan. Use kitchen scissors or a paring knife to trim the dough to 1-inch of the pan’s edge. Tuck the edges under and crimp the edges with a fork or your fingers. Cover with plastic and chill until ready to bake. 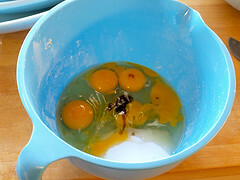 In a large bowl combine the butter, eggs, egg yolks, sugar, and corn syrup. Add in the vanilla, flour, and melted chocolate and whisk until well combined. 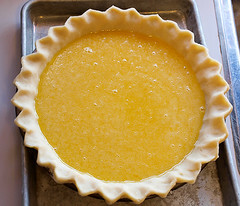 Pour the mixture into the pastry crust and place on a baking sheet. Bake for 35 to 45 minutes, or until the filling is just set. Serve slightly warm or chilled. Enjoy!